San Diego was incorporated in 1850 and is the eighth largest city in the United States with a population of 1.4 million people. It is situated in the southwest and welcomes 36 million annual visitors with a total economic impact of $11.5 billion. Phoenix was incorporated in 1881 and is the fifth largest city in the United States with a population of 1.6 million people. It is located in the southwest and welcomes 44 million annual visitors with a total economic impact of $14 billion. The two cities are 335 miles apart, a five-hour drive. 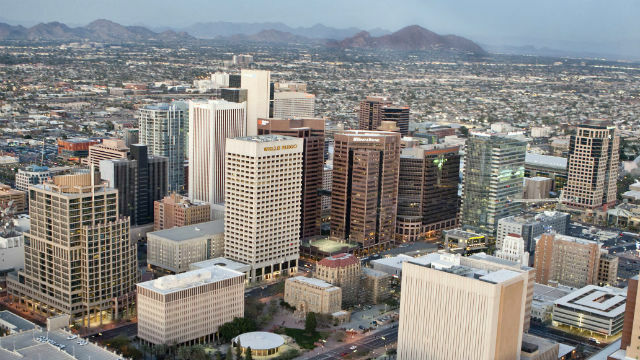 From 1987 to 2007, I travelled to Phoenix at least twice a year for family and business purposes. Though I knew the area well, I was never a fan. As a native San Diegan, I always found San Diego to be an infinitely more desirable place to live. Then, because of family relocations, I didn’t visit Phoenix again for the next 10 years. In 2018, my wife and I traveled to Phoenix for the medical school graduation of one of our daughters. We stayed four nights in a downtown hotel, walked all over the downtown area, and drove all around the Valley of the Sun. We were stunned — and I do mean stunned. Compared to San Diego, Phoenix had become a paradise. We found Phoenix to be impeccably clean with very little trash on the highways, downtown, or elsewhere. The roads and highways were well maintained, with no visible potholes or smells of human urine on the downtown streets. There were no scooters dodging traffic like a scene from Mad Max or laying on the sidewalks like landmines. San Diego now looks like a dump in comparison. We saw four homeless people in Phoenix on the streets the entire time we were out and about. Let me repeat, four. On the day of our return, I went to San Diego’s downtown post office, and then to my office at 4th and Market. In the brief 10 minutes of doing so, I saw well over 50 homeless persons scattered about on our trash-strewn and urine-infused streets. Phoenix is a big city and certainly has its problems, including issues with homelessness. The difference, however, is that Phoenix’s leadership understands that letting your city look like Calcutta (with a side-dish of anarchy) is a daily kick in the teeth to your citizens and taxpayers, and is awful for business. No taxpayer, tourist, or businessperson wants this. Why don’t San Diego’s leaders understand this? Do they not also see that this kind of squalor is a public health risk that directly leads to Hepatitis A and other epidemics? I don’t know what the statistics say in comparing San Diego and Phoenix, but I do know what we saw. The difference was shocking. One city ascending, one nose-diving. Sadly, my hometown is the latter. Why? For two cities so similar in size, region, and tourism-dependence, this seems perplexing, but I have identified two main differences that may provide the answers as to why. First, Phoenix was established in the midst of the Sonoran Desert, one of the most inhospitable, sunbaked, and waterless regions in the world. San Diego, on the other hand, was established in one of the most naturally endowed regions – the best year-round weather in the world, natural harbors, bays, 70 miles of beaches, valleys, mountains, and so on. Phoenix, like Israel, turned its desolate desert into a flourishing Eden. San Diego, on the other hand, allowed its natural Eden to decay into a human wasteland. Is Phoenix a living example of the respect and care citizens show for the diamond they themselves worked to create from the rough? Likewise, is San Diego a living example of the spoiled child not appreciating the Eden it was given and thus frittering it away? Perhaps yes, on both counts. You see, the difference isn’t the settings themselves, its what the people have chosen to do with them. Second, Phoenix has great leadership, elected and civic; the evidence of it is everywhere you look. San Diego, on the other hand, has dismal leadership — again, the evidence is everywhere you look. What is most disturbing is the game San Diego’s leaders (elected, civic, and promotional) play ad nauseum. I call it “San Diego polite.” They cheerlead and pat each other on the back for benign deeds, as if doing so gives them meaning. Who in the real world cares if you passed this or that legislation if it doesn’t change anything? But if you don’t play their insider game, and instead actually dare to call out the truth, they blackball you with silence. This silly game would be comedic if it weren’t so detrimental to San Diego’s future. Leadership is everything — both in creating and solving — and no great thing has ever happened without a visionary leader at the helm. Think about it. Would the Allies have defeated the Nazis in North Africa without General George Patton? Would India have gained independence without a loin-clothed Mahatma Gandhi leading non-violent protests? Would the iPhone exist without Steve Jobs? Would the Missionaries of Charity have become a world force for helping the poorest-of-the-poor without a tiny Albanian nun by the name of Anjezë Gonxhe Bojaxhiu (aka Mother Teresa)? Great leaders typically don’t ascend the executive corporate ladder. More often than not, they explode onto the scene with visionary ideas and personal drive. They are the dreamers who bring change. To expect someone from San Diego’s professional political class to surface as our rescuing Patton is naivety in the extreme. These professional politicians are the exact same people who got us into our troubles. Their promises are cheap and meaningless. And we must not allow them to use California’s problems as their excuse — there is no state law requiring us to follow the rest of the state into the toilet, right? Instead of following our California sister-cities further into the quagmire, perhaps San Diego should break ranks, and for once, lead the state out of its troubles. There is a viable pathway for doing so. Most of San Diego’s (and California’s) most pressing problems are originating in the exact same place — that being our leaders’ refusal to genuinely help our homeless brothers and sisters. Neither the endless talk by our politicians, nor the ever-increasing pools of money squandered on the issue, have proven to even remotely solve the homeless problem. Perhaps we should try a new approach. If we provide a real solution for this vexing problem, many related problems will begin to resolve themselves as well. The solution of which I speak is right in front us and is pure common sense. Bottom line: if we establish Sunbreak Ranch in San Diego as a safe, secure place that welcomes all our homeless, doing so will initiate a chain of positive events for our city (and ultimately our state). First, with Sunbreak operational, we can begin the process of transitioning our homeless brethren back into society, with all reputable service providers invited to partner in the effort. Secondly, and most importantly, this will enable us to return our city (and state) to the rule of law so that the laws already on our books can be strictly enforced again: no loitering; no street, park, or canyon camping; no littering; no urinating on the streets; no living in vehicles; no drugs on the streets; and so on. Once San Diego proves the Sunbreak model effective, sister operations can easily be replicated in Orange County, Los Angeles, San Francisco, and everywhere else needed. We do not support criminalizing homeless people who are down on their luck and have no where else to go, but once we provide a safe, secure location for all of them — and do so in a humane manner — we can legitimately return our city to the rule of law that is the essential bedrock of civilized society. The rule of law is the great elixir to most of our current problems — we simply must get it back. San Diego’s 2020 mayoral election will be the great decider as to whether we continue descending, or we alter course and begin ascending. Leadership is everything — choose wisely. 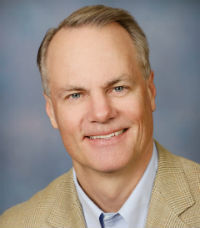 George Mullen is spearheading Sunbreak Ranch and is a principal of StudioRevolution.com. He is a native of San Diego.